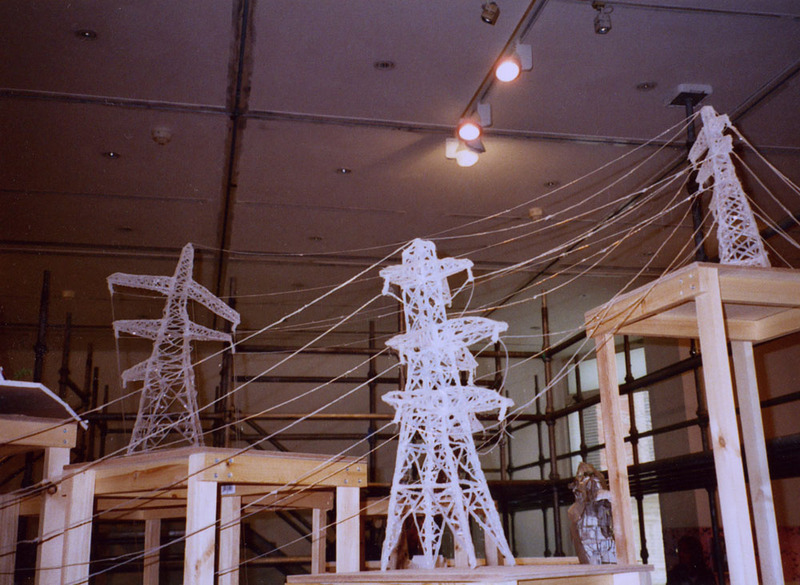 I made a series of pylons in glue from a glue gun, which have been shown in London ( within Goshka Macuga’s installation at the RCA curators final exhibition “The Straight and Crooked Way”), in The Lotta Hammer Gallery in London and in Sweden (Mielby Arts Centre , Halmstadt), in Bob & Roberta Smiths LCCA space, in San Francisco and recently in Water St Gallery, Todmorden.They are in private collections. 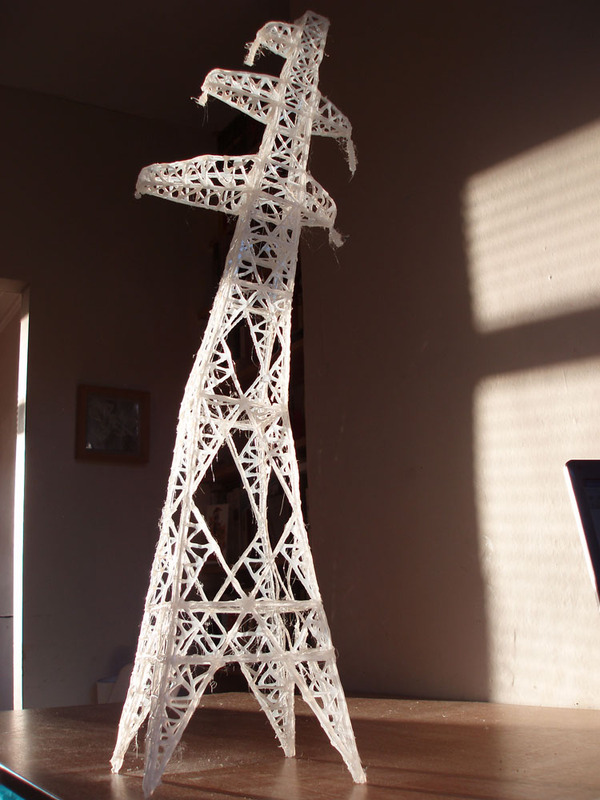 Pylons, like construction cranes, are strong, dependable forms that are all around us and have grown into a similar obsession with me. 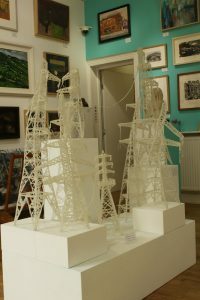 They draw their way through our landscapes, at once jaw-dropping in stature, yet potentially missable in their frequency. 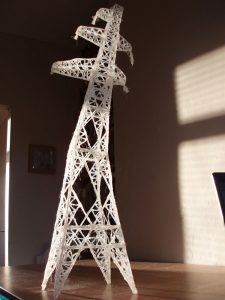 I took the rigidity of the phallic type pylon form and deconstructed it, redrawing the systematic, engineered form with an organic, low-tech intuition with subversion as the end result. Their vulnerablity & apparent structural faults, are an illusion, as the glue sculptures are strengthened with hidden perspex armatures. The subtext of weakness, imperfection and wrongness, increased in importance through the series. 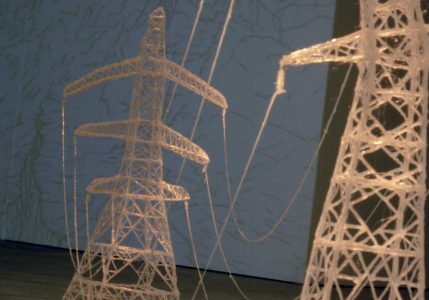 They can be connected up in various ways, depending on venue & number: from a linear form of drawing to a chaotic web of cables far removed from the reality of carrying our power supply. 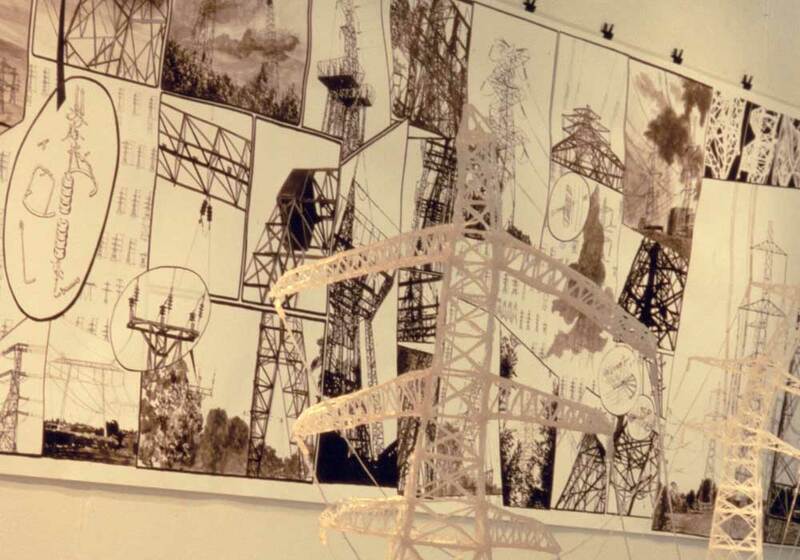 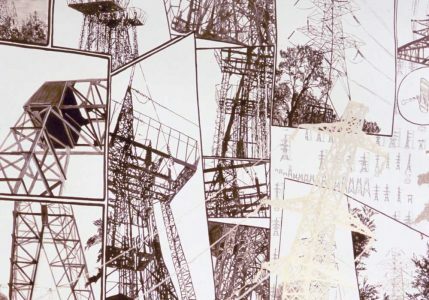 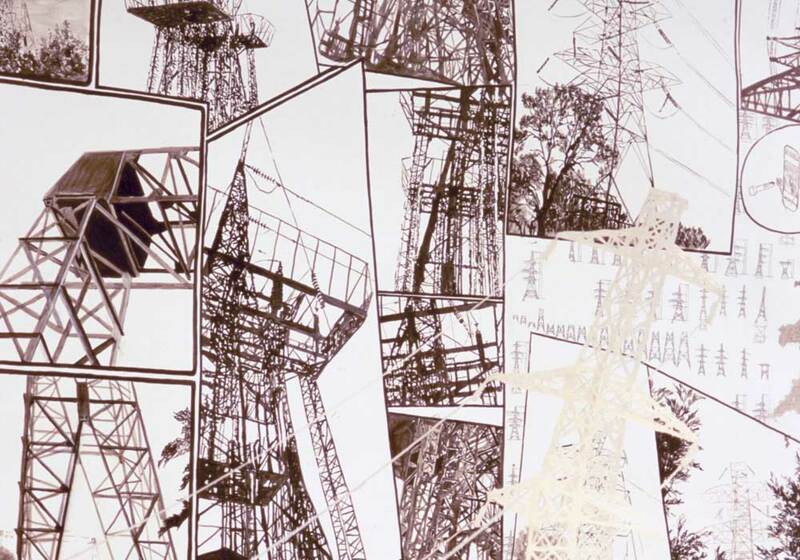 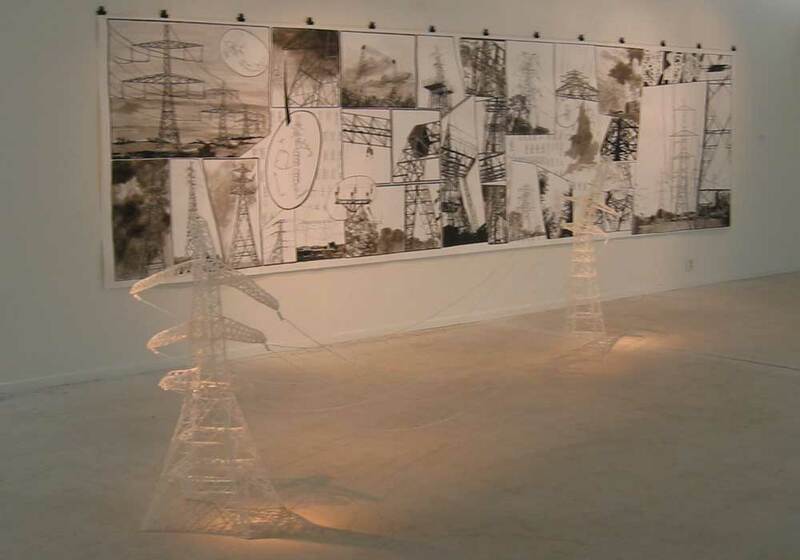 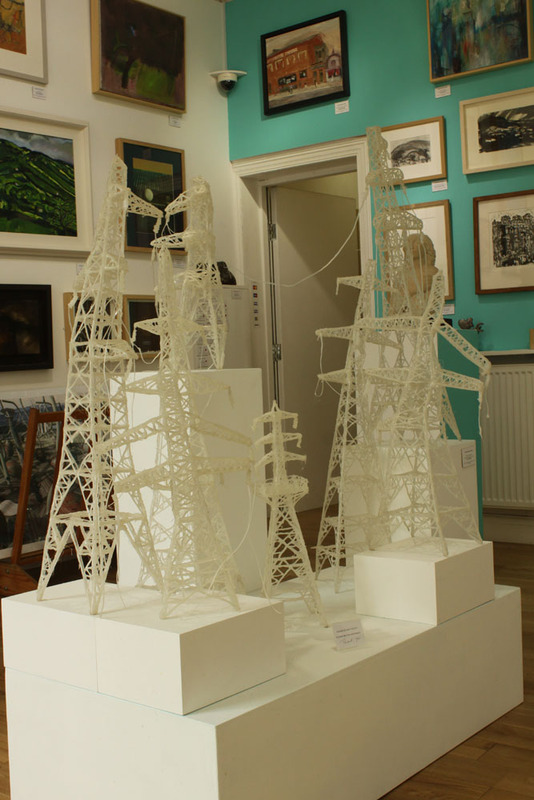 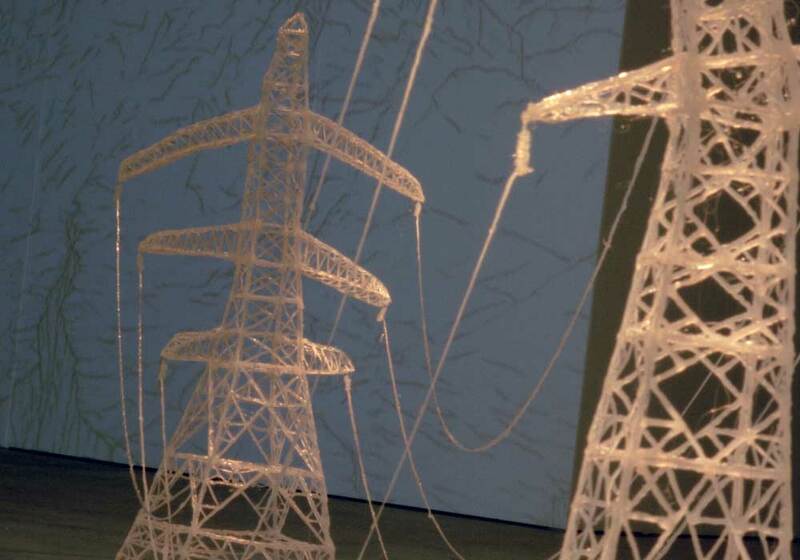 I also made a large drawing of pylons: 1.5 m tall by 5.8 long. 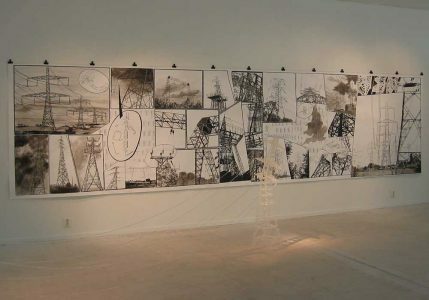 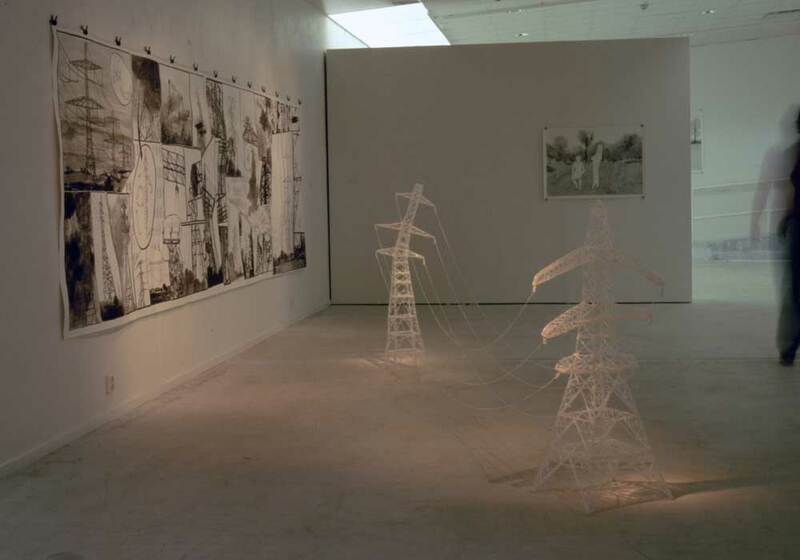 A homage to the diversity of pylons and their relationship with the figure Pylon Drawing reads like a comic without narrative as the frames cover close ups , group shots , portraits, details etc.